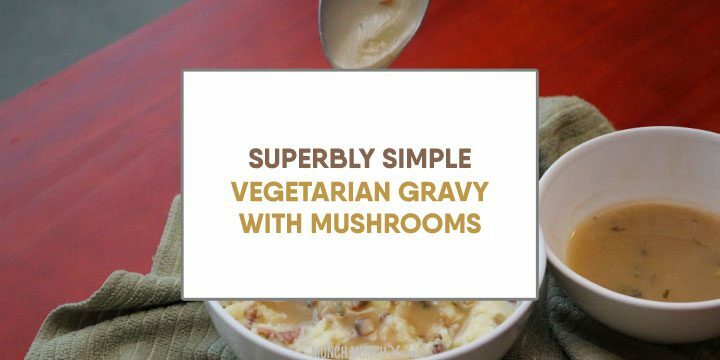 A simple, healthy vegetarian mushroom gravy that’s loaded with flavor. 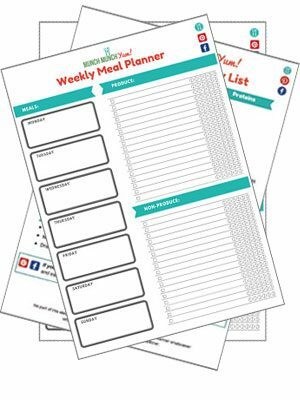 Can be used for a wide variety of savory comfort foods like mashed potatoes or over other starches like rice. This brown gravy is also super easy to make vegan with a simple swap of butter for olive oil. What separates good gravy from amazing gravy is flavor and texture. 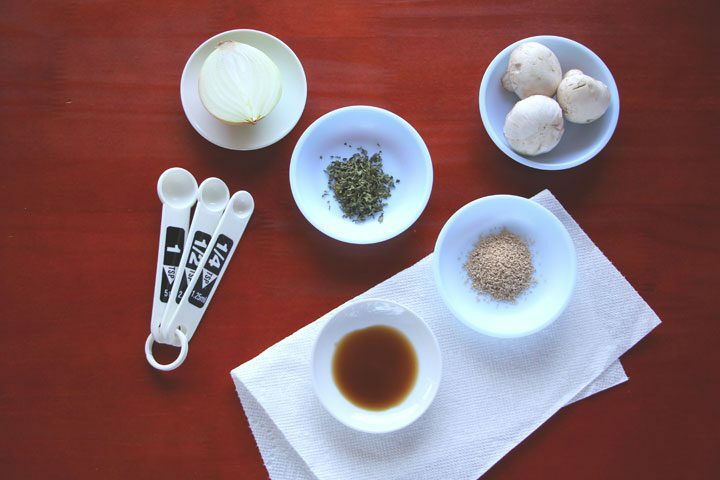 To ensure that our gravy is loaded with maximum flavor, we use three different savory ingredients to ensure it is packed with yumminess: fresh mushrooms, dried mushroom powder, and Bragg’s Liquid Amino. The perfect texture is achieved by utilizing what is called a roux. A roux is a mixture that’s used to thicken soups, sauces, and gravies. It has French origins and has been used for hundreds of years. Roux always consists of equal parts flour and fat. It is created by slowly whisking flour into the melted fat until you get a thick liquid. How long you should cook the roux depends on what you are trying to achieve. As the roux is cooked longer, the flavor will intensify, the color will darken, and the thickening ability will weaken. As such, a light-colored roux will be used primarily as a thickening agent, whereas a dark roux will be used more for color and flavor. By itself, roux is too thick to be consumed on its own and is typically added to some sort of liquid to create an actual sauce. In this recipe, the base for the gravy is veloute, which is traditionally made with roux and chicken stock. To make it vegetarian, we simply swapped out the chicken stock for vegetable stock. 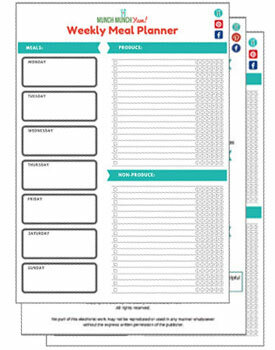 This recipe can used for a wide variety of dishes. 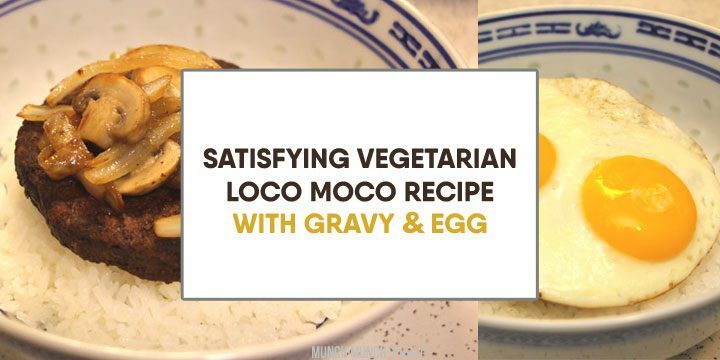 For example, it is the perfect vegetarian gravy for mashed potatoes, and we eat it all the time with our loco moco recipe. However, it isn’t exactly the right look and texture to be used as a vegetarian gravy for biscuits. 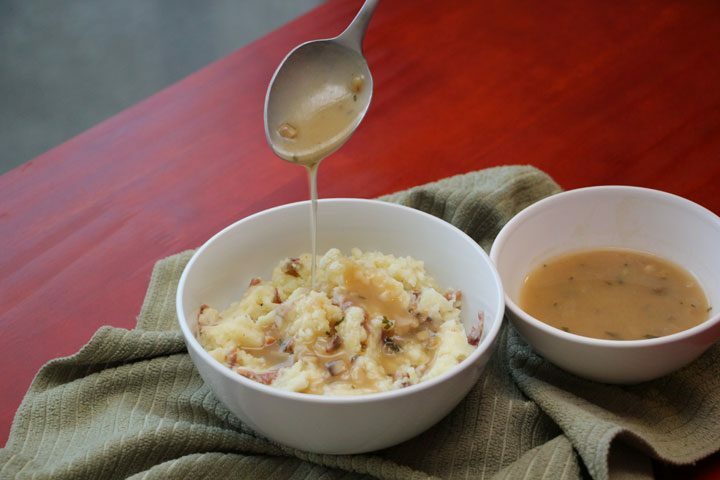 The typical gravy used in a biscuits and gravy type of recipe tends to be much whiter, much thicker, has a different flavor profile, and often includes meat crumbles. For an excellent vegetarian biscuits & gravy dinner recipe, check out this clever take. Step 1. Melt butter in a small saucepan over medium heat. Step 2. Add onions, mushrooms, and a small pinch of salt. Saute until onions are translucent and moisture is cooked out of the mushrooms, about 5 minutes. Step 3. Add flour and mix until combined into a smooth paste. Continue to cook, stirring frequently, until a light brown color develops, about 4 minutes. Step 4. Very gradually add in the vegetable broth, whisking as it is poured in. 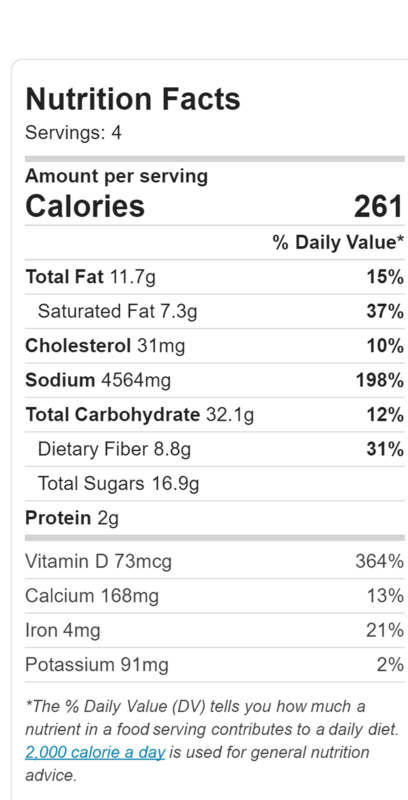 Add dried parsley, dried mushroom powder, and Bragg’s Liquid Amino. Bring to a boil then reduce heat to medium low and simmer, stirring occasionally, for 20 minutes. Step 5. Adjust consistency of gravy as desired. If too thick, mix in a small amount of water. If too thin, whisk in a small amount of cornstarch that’s been dissolved in cold water. Season to taste with salt and pepper. To make this gravy vegan, use olive oil instead of butter. A simple, healthy vegetarian mushroom gravy that's loaded with flavor. 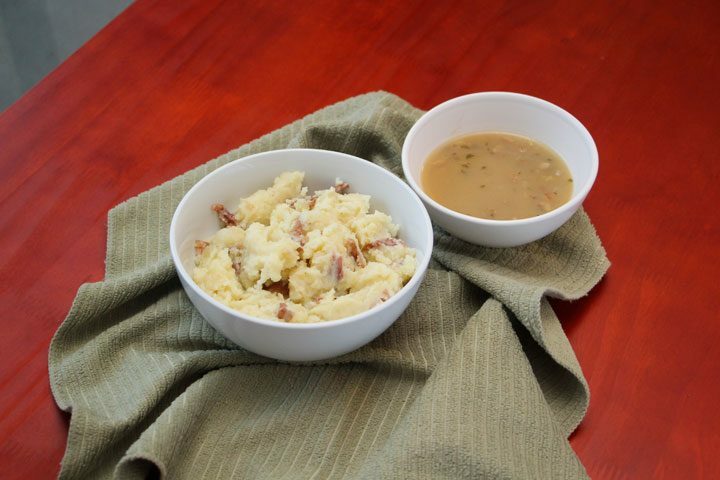 Can be used to make a wide variety of savory comfort foods like mashed potatoes and biscuits. This brown gravy is also super easy to make vegan as well. Step 4. Very gradually add in the vegetable broth, whisking as it is poured in. Add dried parsley, mushroom powder, and Bragg’s Liquid Amino. Bring to a boil then reduce heat to medium low and simmer, stirring occasionally, for 20 minutes.